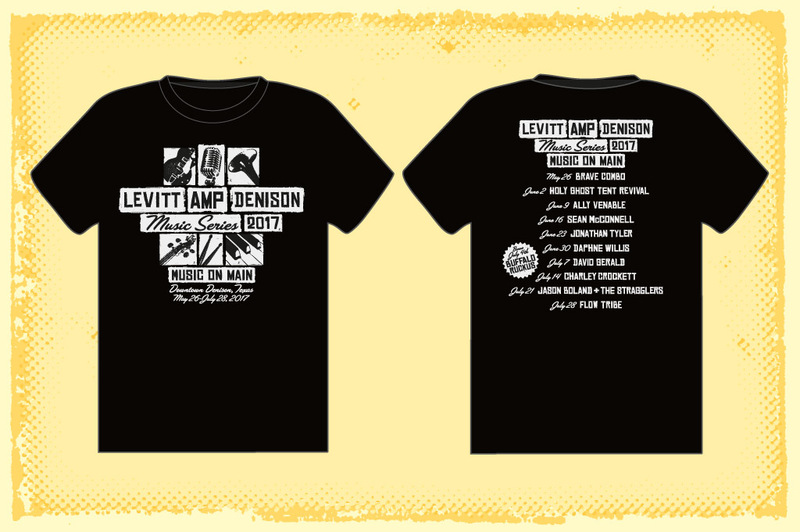 For the 2017 Levitt Amp Denison Music Series – Music on Main – I did digital illustrations of various musical instruments in a letterpress style. The final logo design was basically modular so it could be configured several ways to fit any layout we needed. This carried over into tee shirts, banners, flyers, posters, and print/social media ads.